Nick Perkins was pushing a shopping cart through the aisles of Walmart in El Paso, Texas, when a woman stopped him. She saw the blue Bulls logo emblazoned on the shirt worn by the 6-foot-8-inch forward for the University at Buffalo men's basketball team. She told him that her daughter played basketball at Florida State and had played against UB in the 2018 NCAA Women’s Tournament. “You go to Buffalo,” Perkins recalled the woman saying to him. He never found out her name, but the moment showed Perkins that Buffalo basketball was a recognizable brand. Going to the national tournament has helped UB's name recognition. Beating Arizona made the Bulls a hot commodity. Being ranked in the Top 25 for 18 consecutive weeks this season hasn't made the Bulls a household name, but that isn't far off. The Bulls earned their fourth NCAA Tournament berth in five seasons on Sunday, and are the sixth seed in the West Region and will face Arizona State – coached by former Bulls coach Bobby Hurley – in a first-round game at 4 p.m. Friday at the BOK Center in Tulsa, Okla. Experiences like the ones Perkins had in El Paso reiterate that the external perception of UB basketball has changed. That new recognition isn’t from one tournament win, but it hasn’t hurt. Hodgson got different responses two or three years ago. “The first question?” Hodgson said. “Where is Buffalo? Second, they always ask about the weather, but now it’s more, the first thing is, ‘Oh, wow, you guys have been really good, I watched that Arizona game last year.’ Or, ‘You guys are nationally ranked.’ "
The Bulls opened the season by receiving votes in the Associated Press Top 25 Preseason Poll for the first time. After a win over then-No. 14 West Virginia, they were ranked No. 25 and have appeared in the AP poll every week since. As far as the NCAA Tournament, rather than being a 12, 14 or 13 seed like they were in the 2015, 2016 and 2018 tournaments, respectively, the Bulls are a No. 6 seed and favored in their first-round matchup Friday in Tulsa. Winning won't be a surprise. Now it is expected. "Within one year, we've gone from being the Cinderella darlings to where people on ESPN and CBS are picking us to go to the Final Four," UB head coach Nate Oats said. "Maybe I like being the underdog and nobody is picking us to win, and you kind of creep up on some people. But I don't think we're creeping up on anyone this year." Getting to this point is a byproduct of a culture that wins consistently. It is the blue-collar work ethic, the mantra of respect each other and the program, and paying attention to details and values that Oats and his coaching staff have instilled since he took over nearly four years ago. When Oats took over the program after two seasons as an assistant coach, he inherited a blueprint designed by Hurley, who led the Bulls to their first NCAA Tournament in his second year at UB. Oats maintained Hurley's zero-tolerance philosophy towards losing behavior, but put his own stamp on the program. He kept the intensity of practices but split the team into two practice squads to enhance competitiveness. He kept UB's man-to-man defense and freedom for its guards to be creative in the sets they run. But Oats made a point to develop individual relationships with each player as a head coach who controls the details of a program, not as an assistant who swayed them to join UB. "I had to re-establish how hard we were going to play with all these new guys, and coach Hurley established a culture where we practiced hard and played hard. But you have to re-establish all that with a bunch of new guys. "Anywhere you turn a program around, they've got to be convinced that what you're telling them is going to happen," Oats said. "We'd just played in the NCAA Tournament so all the recruits we got, we sold them on that. Then you build relationships and build trust with them." UB earned its second NCAA Tournament berth and second MAC Tournament title in Oats’ first season as coach. Two years later, the Bulls earned their third NCAA Tournament berth and third MAC Tournament title, then pulled off one of the biggest upsets as a No. 13 seed in the NCAA Tournament, an 89-68 rout of No. 4 Arizona. “Coach Hurley did an incredible job, previously, and he’s done an amazing job at Arizona State, but Coach Oats had to be his own man as a coach, and had to continue that success and take it to a new level,” Georgia Tech coach Josh Pastner said. “Buffalo did that by becoming a Top 25 team, and that’s hard to do. They did it with a win at Syracuse, and that’s hard to do. When Jim Larranaga coached at George Mason in Fairfax, Va., from 1997 to 2011, he did it with a core of players from Washington, D.C., Virginia and Maryland, and with players who had experience. UB has that now, with a lineup that includes seniors and starters Montell McRae, CJ Massinburg and Jeremy Harris, and Perkins, a senior forward and the three-time MAC Sixth Man of the Year. Those four played in either or both the 2016 and 2018 MAC and NCAA tournaments. “The thing that separates the very good, consistently winning mid-major programs is their experience,” said Larranaga, now in his eighth season at Miami (Fla.). “They tend to stay old, meaning that you always have juniors and seniors who are leading you. You get in and you’re a good freshman, but there are upperclassmen who are ahead of you in the pecking order. When Oats was in his first season as coach at UB, Pastner was in his seventh as coach at Memphis, where he followed a path similar to Oats. Pastner coached for a year under John Calipari before taking over the Memphis program. He guided the Tigers to the NCAA Tournament in his second and third seasons, losing in the first round both times. But in his fourth season, Memphis advanced to the second round. In Oats' first year, UB made the tournament, but lost in the first round. After missing the tournament in Oats' second year, the Bulls upset Arizona in the first round of the NCAA Tournament last year. “What Nate is doing is building something, and I don’t think what he is doing is going to be a two-year, two-hit wonder,” Pastner said. “He has a chance to continue to do something great at Buffalo. 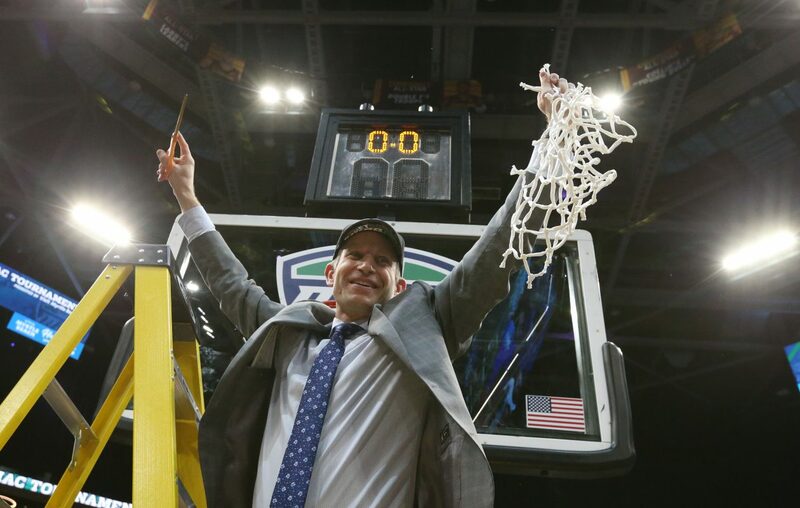 I know other big schools will come after him, but he can do what Shaka Smart did at VCU, what Mark Few has done at Gonzaga, what Rick Byrd has done at Belmont and what Porter Moser has done at Loyola. 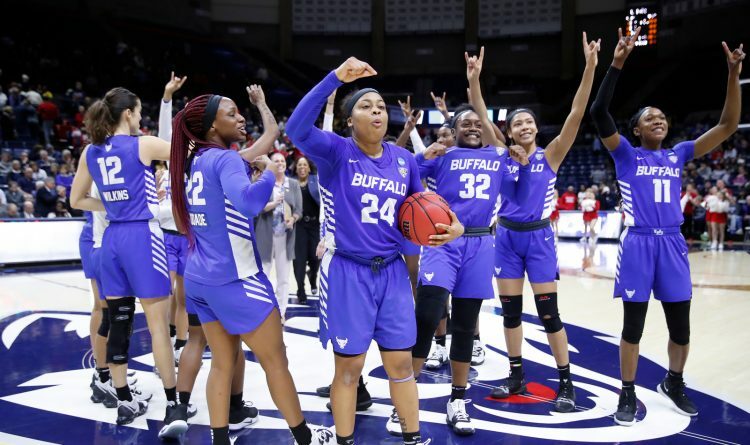 Mid-American Conference commissioner Jon Steinbrecher bristles at the MAC being labeled a mid-major conference, but has seen the impact of what Buffalo has done to push the boundaries of a mid-major program. “What always elevates you is a program that goes and really starts to raise the bar, and tries to separate themselves from what everybody else is doing,” Steinbrecher said. “The Buffalo men are clearly raising the bar right now, but they’re taking elements that we’ve harped on and talked about and built on and been strategic on, and it shows you what happens when you do all those things. But beating Arizona brought currency for the Bulls and the MAC. "There's a couple times in the year you get a chance to put a pin in the map,” Steinbrecher said. “Conference tournament time is one, you’re going to get a lot of attention on you. NCAA Tournament time, wins there are equity for your program and for your conference. "Take that, take knocking off the Pac-12 champion last year and come into this year and all the sudden you're out of the gate and then you knock off a 14th-ranked West Virginia and Syracuse and boom, it starts to multiply." UB’s confidence, Larranaga said, will be at an all-time high in the NCAA Tournament. Not just because of those wins, but because the Bulls win. Instead of being a low seed this year, UB is a six seed and a favorite in their first-round matchup Friday in Tulsa. Five years after making the Final Four as an at-large selection, Larranaga’s George Mason team was an eight seed that defeated No. 9 Villanova in the 2011 tournament. “Everybody who follows March Madness looks at a mid-major playing a high major and wondering if there’s going to be an upset,” Larranaga said. “There’s a lot of interest. Can a mid-major stick with a high major? Buffalo is ranked higher than the high major they’ll face, and that’s very unusual.